Forecaster Evie, our pig-tailed prognosticator, says serious (as in medically serious) heat is on the way and we need to be aware of it. 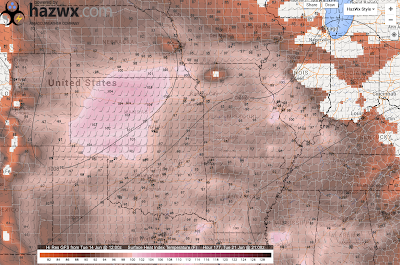 Here is a forecast heat index map for 4pm Monday. 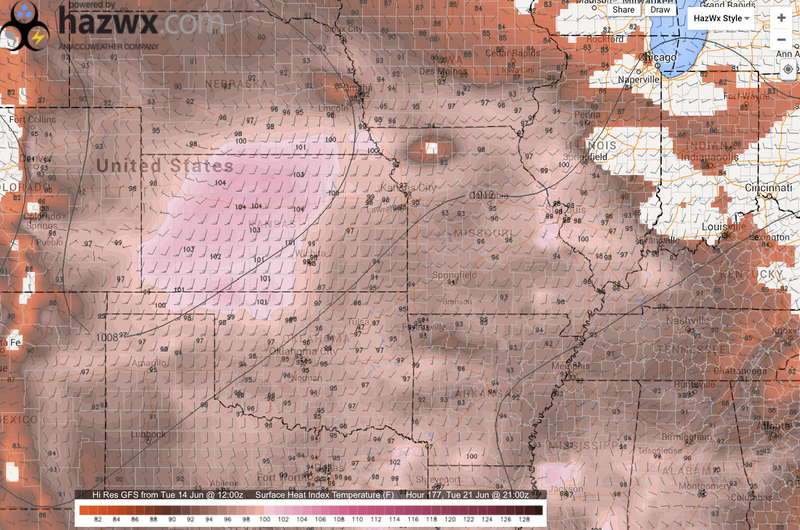 Here is the forecast heat index map for 4pm Tuesday. 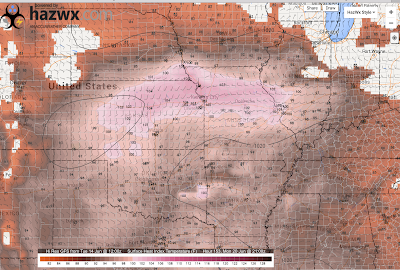 Heat indices below 80°F are not shown. Symbols in background indicate wind speed and direction. Unfortunately, I don't think the heat index forecast, especially in the High Plains, is high enough. 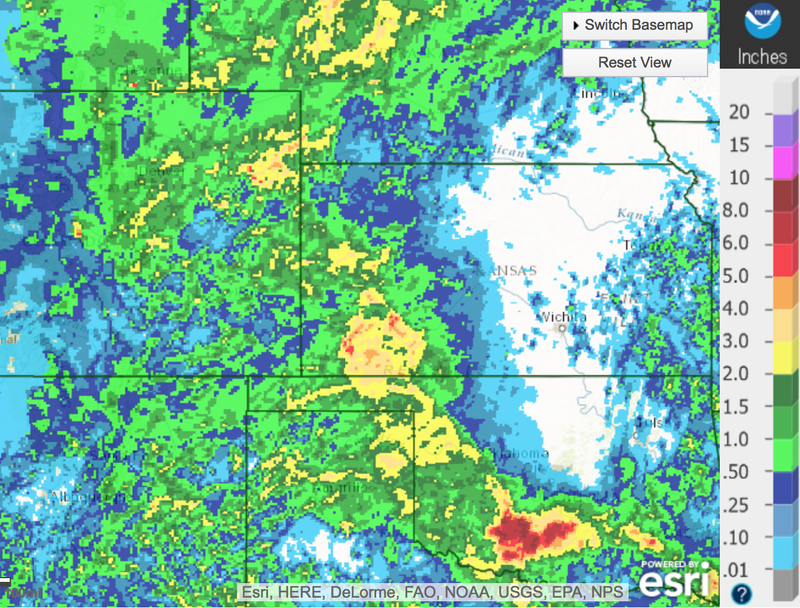 The forecast model does not "realize" the unusually heavy rains over that area since Saturday. 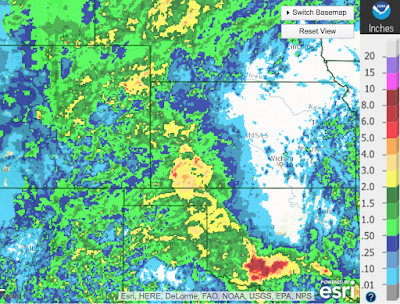 These rains were heavy enough that the sub- and even topsoil will still be damp when these extreme temperatures begin. 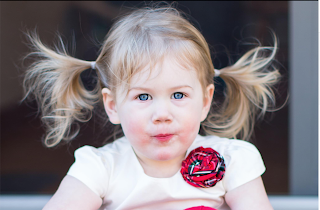 So, Evie and I recommend adding 5-7° to the heat index temperatures to the High Plains values and 3-4° elsewhere to get the maximum values for each day. I often believe there are too many heat advisories in summer (that's why it is called "summer"). That said, this is July heat with June humidities and it could be hazardous those working outdoors who are not acclimated to it or who otherwise have health issues.